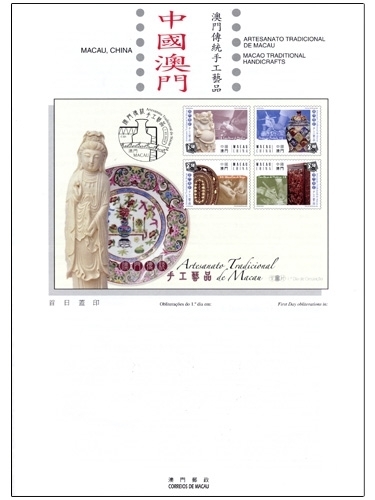 The stamp designer for this issue is Mr. Ng Wai Kin, and the text for the information brochure is written by Mr. Chan Su Weng. 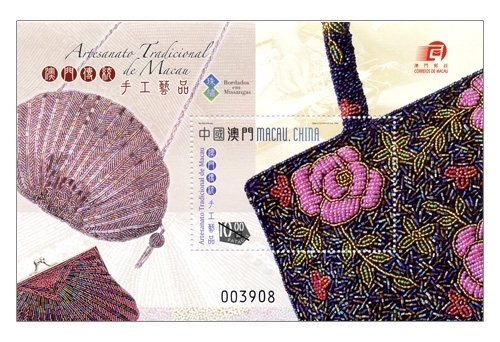 This is the eleventh issue and the last issue in 2008. 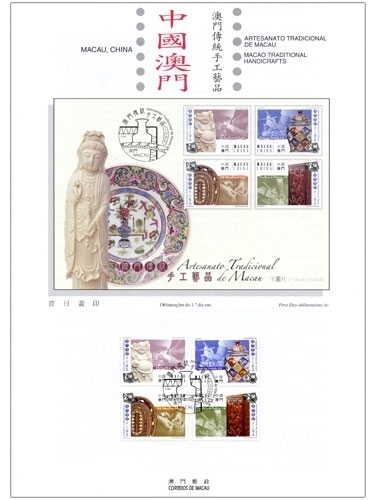 The issued stamps are as “Lunar Year of the Rat” on 23/01/2008; “I Ching, Pa Kua VI” on 01/03/2008; “Beijing 2008 Olympic Torch Relay” on 03/05/2008; “Legends and Myths VIII” on 02/06/2008; “Local Delights” on 04/07/2008; “World Heritage” on 31/07/2008; “The Opening of the Beijing 2008 Olympic Games” on 08/08/2008; “20th Macau International Fireworks Display Contest” on 01/10/2008; “Celebration” on 09/10/2008 and “Mainland Scenery II” on 07/11/2008. 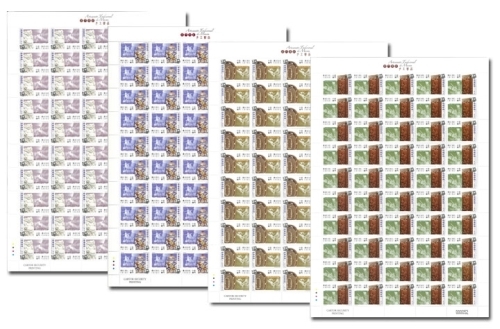 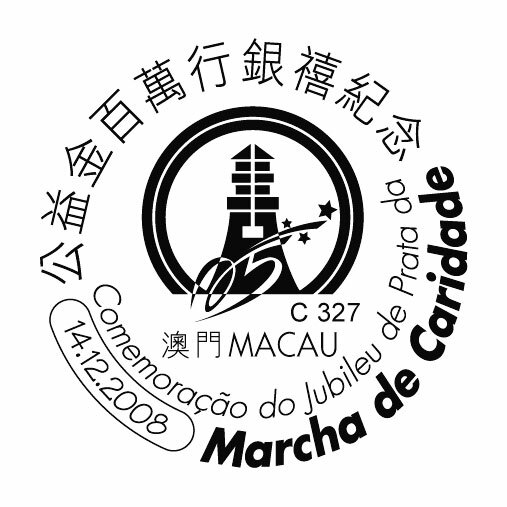 To celebrate the Walk For A Million Silver Jubilee, Macao Post announced that a Temporary Post Counter will be set up at the Philately Shop located at Macao Post Headquarters at 13H00 to 18H00 on 14th December 2008 providing the commemorative postmark cancellation service for the “Walk For A Million Silver Jubilee”. 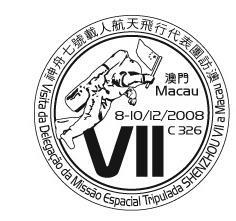 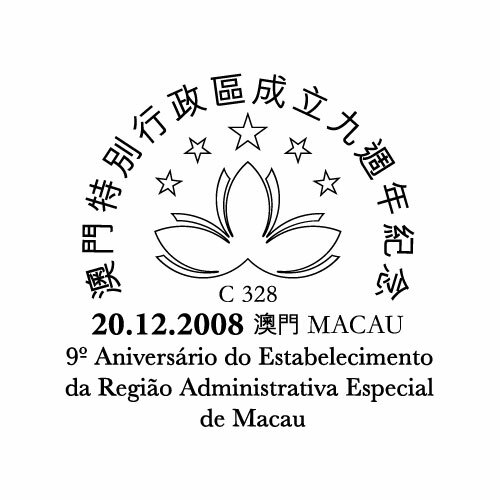 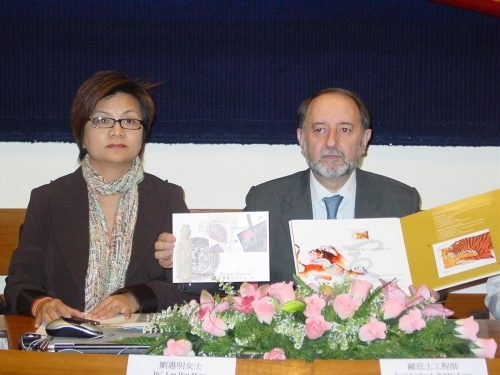 To celebrate the 9th Anniversary of the Establishment of the Macao Special Administrative Region, Macao Post announced that a Temporary Post Counter will be set up at the Philately Shop located at the Macao Post Headquarters at 9H00 to 17H30 on 20th December 2008 providing the commemorative postmark cancellation service for the “9th Anniversary of the Establishment of the Macao Special Administrative Region”. 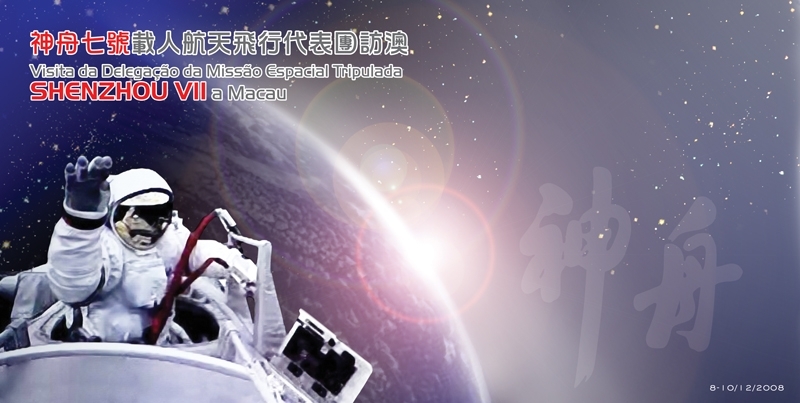 To celebrate the Visit of the Delegation of the Shenzhou-7 Manned Space Mission to Macao, Macao Post announced that a Temporary Post Counter will be set up at our Philately Shop located at Macao Post Headquarters at 09H00 to 17H30 on 8th to 10th December 2008 providing the commemorative cancellation service for the “Visit of the Delegation of the Shenzhou-7 Manned Space Mission to Macao”. 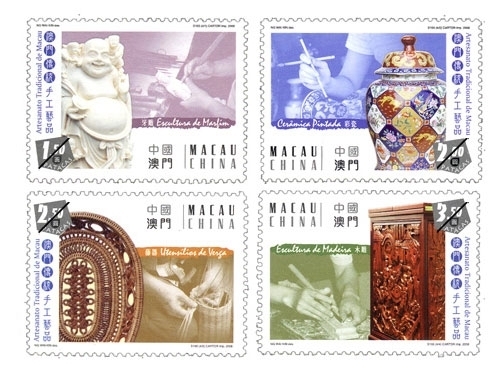 To celebrate the Opening of Grand Lisboa Hotel, Macau, Macao Post announced that a Temporary Post Counter will be set up at the Hotel Lobby of Grand Lisboa at 10H00 to 18H00 on 17th December 2008 providing the commemorative postmark cancellation service for the “Celebration of the Opening of Grand Lisboa Hotel, Macau”. 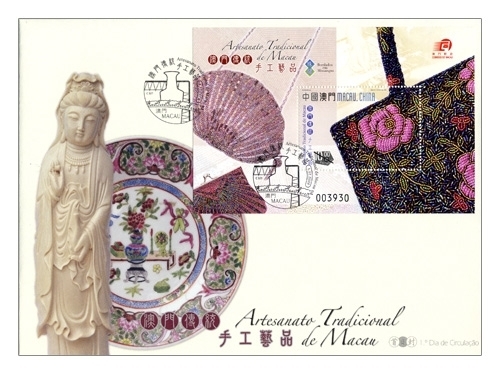 Macao Post will issue a thematic pack under the theme “Chinese Zodiac” on 1st December 2008, it will be available for sale at the Philatelic Shop of Macao Post Headquarters, “Rua do Campo” Post Office, Maritime Ferry Terminal Post Office, Airport Post Office, and the Communications Museum. 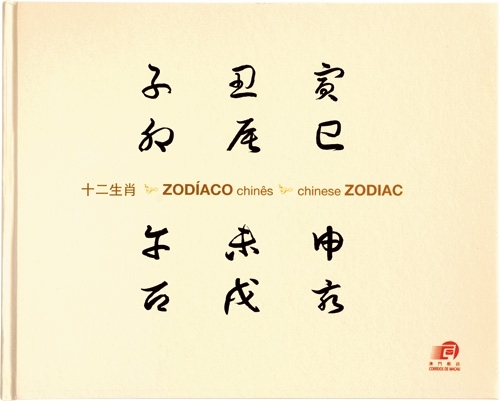 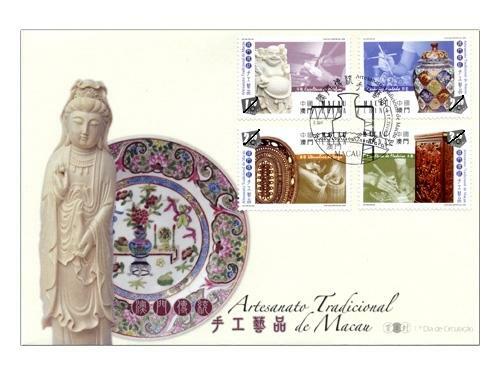 This pack comprises of the 12 stamps and 12 souvenir sheets of the second series of Chinese Zodiac released by Macao Post from 1996 to 2007, together with the technical data. 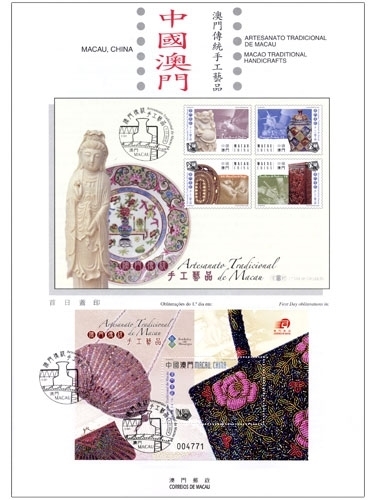 This pack is priced at MOP288.00, and it is an excellent product, either as a collectable or as an elegant gift. 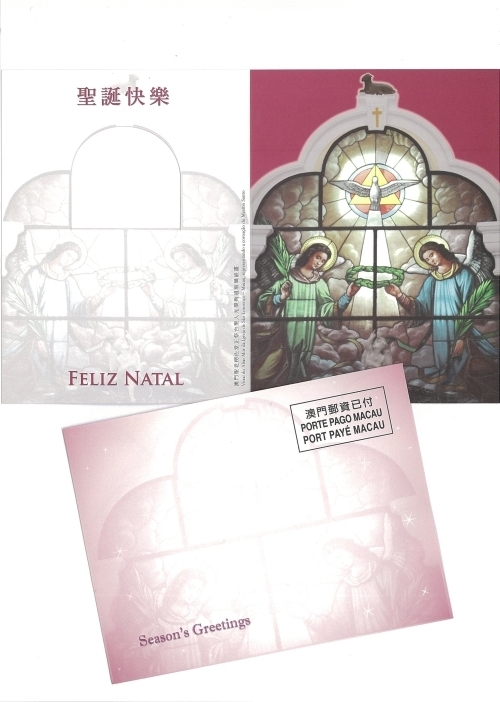 Macao Post will issue a new Christmas Card titled “Stained Glass above the High Altar in the St. Lawrence’s Church – Macao, representing the coronation of the Same Saint” on December 1, 2008, it will be available for sale at the Macao Post Headquarters, all post offices and postal kiosks.